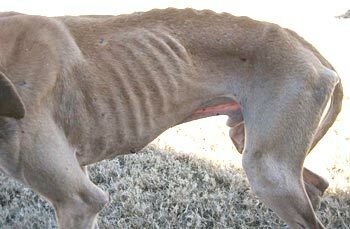 As you can see, Peyton arrived in very, very poor condition physically and is heartworm positive as well as positive to Ehrlichia and Babesia, along with carrying a large parasite load. Peyton must gain some weight and become stabilized prior to starting any treatments. He is under the care of Dr. Christy Soileau of VCA Preston Park Animal Hospital, and she is monitoring his condition closely. Peyton is heartworm NEGATIVE! He will now be scheduled to complete his medical procedures. 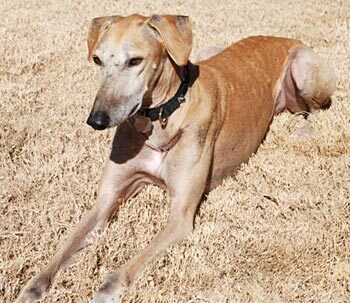 Peyton has also been successfully treated for his Ehrlichia and Babesia and now tests negative. Peyton completed another round of two injections for his heartworm treatment on July 8 and 9. He tolerated the treatment and is being kept quiet in his foster home. This boy has quite a heavy burden; he has been in treatment for over 6 months. Peyton will be retested on approximately September 8, and hopefully he will test negative at that time. His tick diseases have cleared at this time. Peyton is still testing positive for heartworms, which tells that he has quite a burden. Dr. Jeff Ellis will start another round of treatments for Peyton on July 8. From then it will be another 60 days of waiting to see if the treatments clear the heartworms. Peyton gained weight and has had his three treatments for heartworms, as well as partial treatments for his tick-borne diseases. It will be several weeks before he will be ready to be retested for all diseases.